In a large skillet brown ground beef and onion. In a separate bowl mix together cream of mushroom soup and sour cream. 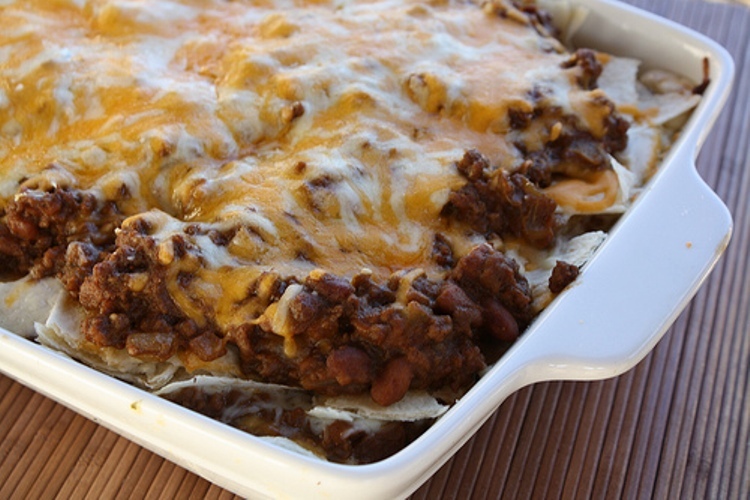 Spread ½ of the sour cream mixture onto the bottom of a casserole dish. Tear up 3 tortillas and spread them over the sour cream mixture. Put ½ of the meat and bean mixture on top of that. Add a layer of shredded cheese (add hot sauce is using).